Written by Eric Cezne, 2016 Noragric alumnus (MSc International Relations) and Research Assistant at PRIO. This Friday the iconic Maracanã stadium in Rio is set to host the opening ceremony of the 2016 Olympic Games. For the first time in South America, the world yet again comes together to celebrate sports, unity and diversity. Against the backdrop of turbulent times marked by all sorts of global economic, geopolitical and humanitarian challenges, the Olympic enterprise has traditionally promoted a sports-for-good rhetoric, and the games are often portrayed as one of the best tools the international community has at its disposal to highlight values linked to peace and global cohesion. The run-up to the games in Rio, however, has been characterized by a range of concerns and controversies. 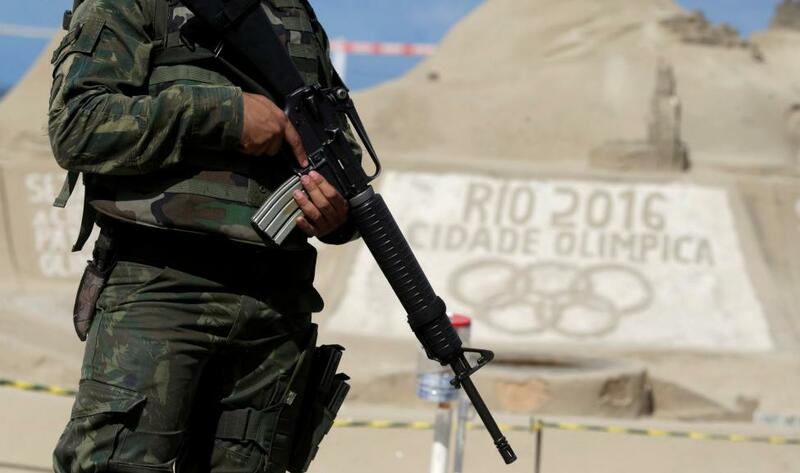 Contradicting the optimism inspired by the noble and benevolent Olympic values, the road to Rio has been marked by doubt and apprehension concerning the city’s safety as well as Brazil’s ability to provide and ensure security during the event. As noticed in the past days and months by a wealth of international and Brazilian media outlets, an economic recession, a political crisis amid acute corruption scandals, the impeachment of president Rousseff, a Zika epidemic, construction delays, and concerns with crime, terrorism and water pollution, have all led audiences to ask: How safe and how ready will Rio be for the Olympics? This blog post discusses the question of security and assesses how securitization narratives and practices are produced, for whom and with what consequences in Rio’s and Brazil’s encounter with the world in the Olympics. Beyond the media furore, and in order to assess the making of security in the Rio games, it is important to think of security as a socially and politically multifaceted concept. Security concerns the different arenas where we think and speak of security. Security and thereby processes of securitizing involve a great deal of intersubjectivity – security issues are constructed and successfully represented as such through social interactions –, and perceptions of threats are created for an audience willing to accept a given securitization discourse. It matters who gets to decide what security is, what the threats at stake are, and under what conditions issues are transformed into a matter of security. While the run-up to the Rio Olympics has faced a broad spectrum of criticism – ranging from the International Olympic Committee’s vice-president’s declaration in 2014 that the city’s preparations were the worst he had ever seen to recent concerns regarding the inadequacy of accommodation facilities at the Olympic Village –, security has nevertheless featured among one of the major and ubiquitous doubts over the event. Conventional discourses and conceptions of security, however, have prominently – and alarmingly – focused on violent crime, terrorism and more recently on the Zika epidemic, leading to all sorts of last minute efforts and quick fixes on behalf of the hosts to mitigate or mask such threats. Yet, overlooked and left out of the security speeches are the wider and often non-material security dynamics and threats at stake in Rio as an Olympic city. Despite ambitious pledges once the city was awarded the games in 2009, overarching vulnerabilities encompassing forms of societal, economic and environmental (in)securities that have long existed and are likely to persist once the event comes to an end have not merited the same kind of attention from the Olympic establishment and the different tiers of governmental administrations in Brazil. See, for e.g., insights raised by the Copenhagen School of security studies. While the threat of street violence and crime in Rio is real and understandably generates anxiety, this overshadows the broader story that violent crime has been significantly reduced over the last decades, especially from its mid-1990s levels. As argued by Robert Muggah of Instituto Igarapé in an interview for Bloomberg: “There’s this perception that violence is spinning out of control. In fact, Rio hasn’t been this safe in years”. By any comparison at the international level, violence remains worrisome in Rio, but the city has shown some remarkable – though insufficient – progress by decreasing the murder rate and launching community policing programs; efforts that have contributed to a drop in violent crime. Recently, however, there are signs of concern as some of these gains have begun to reverse, but the alarmism generated around urban violence also overlooks Rio’s latest qualitative improvements. Further, there is a tendency to neglect the geospatial and social dimension of crime in Brazil: the overwhelming majority of those affected by crime tend to be young men of darker skin color residing in poorer urban neighborhoods. For the Rio games, the increased presence and overflow of police, security forces, military operatives and intelligence experts coupled with more rigorous security protocols are expected to deter criminals and provide some sort of security blanket during the Olympics. While it is unrealistic to expect that the event will be flawless in terms of crime, the average tourist and Olympic spectator wandering around sports venues and Rio’s prime areas is nevertheless likely to be safe. However, whether Rio will continue to improve or efforts will fade away once the event has passed remains to be seen. Another matter of concern, omnipresent in most security speeches ahead of the Rio games, has been the issue of terrorism. Ever since the 1972 Munich Olympics – overshadowed by the attacks against the Israeli delegation – terrorism has featured high on the agenda of games’ organizers and participants, highlighting that geopolitical standoffs do indeed matter in large scale sporting events. This couldn’t be any different in the Rio games, especially amid heightened concerns in the wake of a series of attacks in cities like Dhaka, Brussels and Nice, as well as due to the threat posed by the self-styled Islamic State (IS). 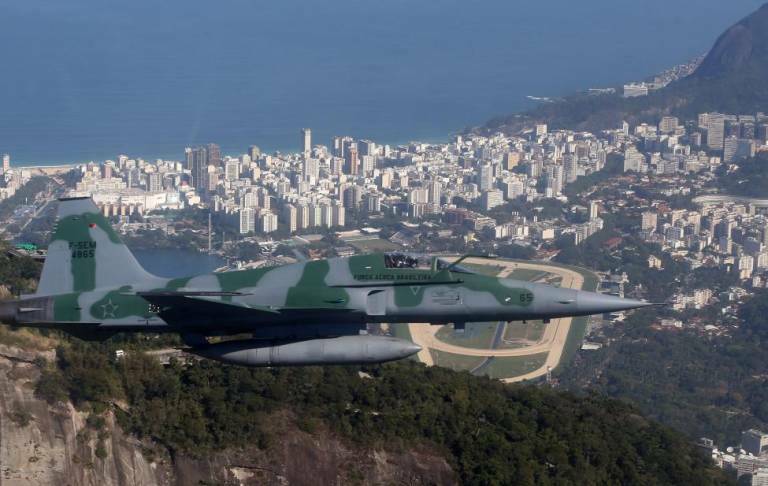 Geopolitically, Brazil is an unlikely target of an international terrorist plot. Logistically, the country lies thousands of kilometers away from hotspots in the Middle East, and does not possess sophisticated terrorist cells such as the ones that have operated recent attacks in France and Belgium. However, due to the international nature and visibility of the Olympics, Rio might become a target for terrorism. Sources at the United Nations have claimed that Brazil’s lack of familiarity and expertise on terrorism puts the Olympics in the country under a high risk of a terrorist attack. Brazilian authorities, on the other hand, have promptly ensured that the risks are slim during the games, and Brazil’s Minister of Justice Alexandre de Moraes has even downplayed the threat posed by lone wolfs, claiming that what could happen at worst are attempts by amateur individuals with no preparation, who he called lone rats. Notwithstanding, terrorism has long been transformed into a global security issue and its threat lies precisely on its unexpectedness. As highlighted by the events in Nice, advanced weaponry and sophisticated networks aren’t necessarily needed to carry out attacks. Moreover, while their ability to conduct high-profile attacks was doubtful, the recent arrest of 12 suspects – mainly Brazilian online sympathizers of IS – for planning terrorist acts during the Olympics serves to highlight the imminent and ever-present concern with terrorism. Under pressure and skepticism from international audiences, there were also claims that the arrests coupled with Brazil’s adoption of a controversial and vague counterterrorism bill for the Olympics are just for show: serving to demonstrate some kind of commitment and resonate well with global securitizing discourses on terrorism. Another source of wary ahead of the Rio Olympics has been the Zika epidemic. Declared a public health emergency in February by the World Health Organization, the spread of the Zika virus in Brazil and throughout the Americas has been deemed a threat and a security concern comparable to the Ebola outbreak in Western Africa. Health experts have even called for the Olympics to be postponed or transferred to another country, and the issue has led some athletes to drop out. However, scientists are still struggling to conclusively prove the extent to which the virus alone is responsible for a spike in the number of microcephaly cases. Further, while there is evidence that the virus appears to threaten grave consequences – and far from suggesting that Zika should be ignored –, it should also be reminded that August corresponds to the southern hemisphere winter, when mosquito-borne diseases are not usually a problem in Rio, and the risk of acquiring Zika is negligible, according to researchers from the Yale School of Public Health. In fact, tourists in Florida are more likely to acquire the disease this time of the year than in Rio. Moreover, as suggested by Clare Wenham’s insightful piece for The Guardian, security-focused policies and approaches to tackling Zika may play well with wealthy audiences, but there is often a neglect that Zika, as well as other tropical health issues, is a disease of poverty. In Brazil, the burden is disproportionally felt by poor populations living close to open water sources, and without the means to prevent and respond to the virus. Often distant from sports venues and far from the spotlight brought by the games, these are the Brazilians who are most seriously affected by the spread of the disease. Rather than transforming Zika into a securitized issue that generates panic and unsuitable responses, a comprehensive solution lies only with political will to control the virus and improve the living conditions of those who are most affected by it. Yet, besides crime, terrorism and Zika, there are greater and also overlooked challenges to address in the 2016 Olympics host city and country. In a Brazil of gaping inequality, where citizens pay the highest taxes of any country outside the developed world and get appalling public services in return, the sports mega-events enterprise proved to be a contentious venture. While the award of the Olympic Games to Rio was intended to coin Brazil’s successes and rise to the global stage, the year of 2016 has highlighted a country amid a spiraling political crisis, a deep economic recession and job losses, and many Brazilians and Rio residents claim that little was done to challenge their day-to-day vulnerabilities and insecurities. A wide range of social activists, academics, displaced residents and environmental militants say that the interest of the Olympics have continued to overshadow the interest, the security and well-being of the people, arguing that the games are disruptive, destructive and skewed to benefit a wealthy elite. Wrapped in the benevolent and universalistic rhetoric of sports, Rio’s bid was prompted by the notion of image enhancement and developmental legacies. However, as studies on mega-events have demonstrated, the meaning of development becomes blurred as benefits can be highly uneven and plans claiming widespread positive outcomes are vague. This becomes even more pronounced in countries like Brazil where the model of development is still heavily based on concentration of wealth, land, capital and power by minor segments of society. While Olympic-related transformations in Rio have brought some type of improvement to people across different social classes, benefits haven’t been equal, and the main beneficiaries have been, as noted by Chris Gaffney in interview for The Guardian, “construction firms, real-estate companies, private security firms, and industries related to gentrification and car dependent landscapes”. Furthermore, in the lead-up to the Rio Olympics, delays, cracked budgets and the prioritization of stadium and sport venue delivery has highlighted well a scenario where promises about legacies for the general population are typically suspended or formally revoked due to justifications pointing at the lack of resources and time to implement and sustain programs. While the run-up to the Olympics has been marked by apprehension and controversies, Rio is likely to be overtly safe and ready for athletes, tourists and Olympic spectators when it comes to managing traditional and material security threats during the games. Also, while there is a deal of undue stigmatization around crime, terrorism and Zika, it is natural – as it is with any large scale sporting event – that challenges and concerns dominate the headlines in the days and months preceding the event. However, once the Olympics kicks off this Friday, these concerns tend to be gradually dissolved, and attention will turn to the different sports modalities and athletes’ performances. Similarly, despite corruption scandals, delays and some last minute improvisation, sports venues and the demands required by the IOC will be in place, TV images from Rio will probably look stunning and picturesque, and it won’t be surprising if audience figures break another record. Yet, this will take the form of fortified enclaves and islands of excellence. Given Brazil’s pressing challenges and historical inequalities, the Olympics will be marked by the walls and security apparatuses dividing the games’ precinct from the rest of Rio. On one side of the wall, a modern and secure spectacle shown on TV in accordance with international standards, accessed mainly by the well-off and tourists. On the other side, Brazil’s social grievances and insecurities remain where little has changed. This blog post is linked to the BraGS research project (Brazil’s Rise to the Global Stage) at PRIO and is also published in PRIO Blogs. Previous Post: Does Climate Change Cause Conflicts in the Sahel?